Studies have shown that humans are comfortable with familiar faces and surroundings. That's not surprising really, and it's believed to go back to our early ancestors where anything new could mean life-threatening danger. In one study I read about recently, a number of individuals were each shown some photographs of people's faces. They later had to do a speed-dating style 'meet and greet' in a large group, and rate the attractiveness and friendliness of those they met. The results were clear. If they happened to have seen a photograph of the person earlier, they rated them significantly more attractive and friendly than those whose faces they had not seen before. In other words, we are drawn to what we know. That plays out in betting on horseracing too, and we are often drawn to horses we've backed before, particularly if they've done well for us. Of course, each race should be analysed as a stand-alone event and you need to be as rational as possible. But we are not robots, and little biases we have which favour certain horses, trainers, jockeys or other conditions can kick in and influence our decisions. Indeed, when I checked the entries for this afternoon's November Handicap at Doncaster (3.15), I was immediately drawn to Royal Line, which I'd backed last year at 5/1. He finished seventh in that, which wasn't a disgrace off a mark of 96. He later went on to win a reasonably good handicap at Epsom in April in which I failed to back him, and it's nagging me now a little that I missed out. But feeling that a horse you are familiar with somehow owes you something is another bias that can cloud your judgement, and as tempted as I am to side with him to try get my money back, it's a dangerous trait which can end up costly. Of course, I'll be kicking myself if he actually wins - but with a rating of 105, Royal Line is now 9lbs higher than last year, and 10lbs up on his latest race, so I just can't be having him at the price of 7/1 which bookmakers are offering in the early markets. Instead, Paul Nicholls' Birds Of Prey makes appeal with a rating of 92, with Paul's daughter Megan taking the reins and set to claim a valuable 5lbs. Priced around 10/1, the four-year-old won a couple of times for John Oxx last term and although he's yet to win for Nicholls in three attempts, he's mostly made the frame and was second off a rating of 90 in a small-field handicap at Haydock last time out back in August. I'm nearly sure he's got more to come, possibly over hurdles too, and he's a versatile sort that seems to act on most types of ground. Nicholls has been planning on sending him to Doncaster for the November Handicap for quite some time, and said the ground hasn't yet been soft enough to send him jumping. For those looking to back something each-way in this race at a very big price, consider Hughie Morrison's Fun Mac, which traded at 40/1 yesterday evening. 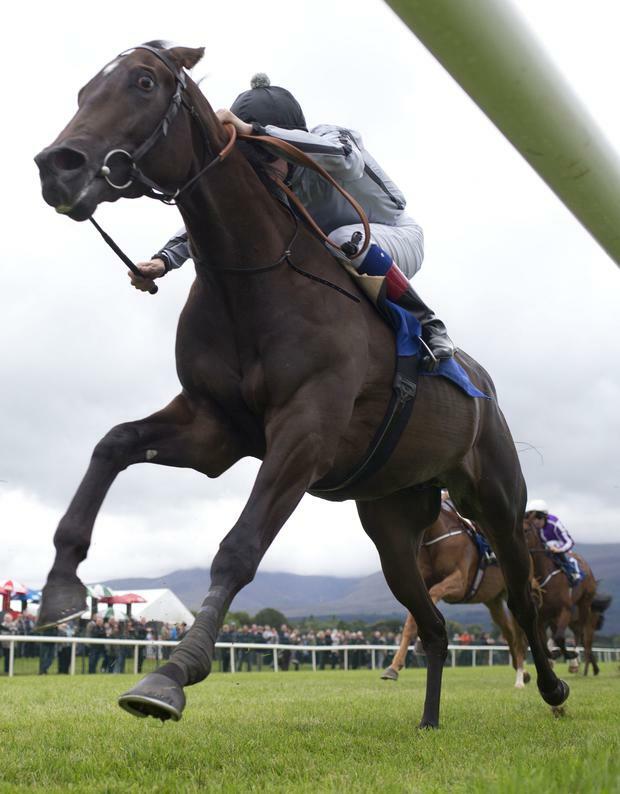 A good second in the Chester Cup in May off 101, his form has been up and down since, but the handicapper has began to cut him some slack and a mark today of 96 leaves him in with a chance of a place following a poor performance at Newmarket recently. In the rather long-titled Listed Marathonbet Official Global Partner Of Manchester City Wentworth Stakes (2.05 Doncaster), I'm quite keen on Donjuan Triumphant, which I'm hoping to back around 7/2 or higher if I can get it. Andrew Balding's five-year-old has a bit of class and has been keeping good company, racing mostly at Group level this season. He was third in a Group One at Ascot last month so a step back down to Listed level gives him every chance. He races in the King Power Racing colours of the late Vichai Srivaddhanaprabha. A little earlier on the same card, Henry Candy's Queen Of Time gets the nod around 4/1 under jockey Harry Bentley in the Listed Marathonbet Sportsbook British EBF Gillies Fillies' Stakes (1.30). She's another one that's dropping down in class having finished third in the Prix de Flore at Saint-Cloud last time, although she faces stiff opposition in the guise of Maid To Remember, the William Haggas-trained filly which was runner-up at this level at Newmarket last month. Bona Fide is also worth a mention having won a handicap for Dermot Weld recently. I'm looking forward to the Manchester Derby tomorrow afternoon, although the difference in class between City and United is evident in the Premier League outright winner market, with City as low as 4/11 and United available at 100/1 in places. City are playing some cracking football at the moment in Europe and the league and I reckon the Red Devils will find life very difficult, despite a confidence-boosting win at Juventus. With home advantage here, the Citizens can land the half-time/full-time bet at even-money. The UK Flat season is coming to an end but the jumps season continues to gain momentum and we've a couple of Graded races at Wincanton. In the Grade Two Jockey Club Ownership Syndicate Rising Stars Novice Chase (2.25), Bags Groove looks the value bet in the five-runner field around 6/4. Harry Fry's gelding was impressive when winning at Ffos Las recently, and has surely more to come. Captain Chaos hasn't attracted support in the early betting for the Rewards4Racing Handicap Chase at Aintree (2.40) priced 25/1, and that's no surprise considering he finished way down the field in his latest two handicap races this season. That's of some concern as he won a number of races last year - but I don't believe he's become a terrible horse overnight and he often races poorly after a break, taking some time to get into the season. He finished off last term with a rating of 144, but he's now down quite a bit to 135 which gives him a chance at the weights under Bridget Andrews. At the prices, it's worth giving him another shot to get back on track.